CARING HEARTS IS FOR individuals who have special needs and their families. 2018-2019 Fall/Winter/Spring dates: 9/15/2018, 10/20/2018, 11/17/2018, 12/15/2018, 1/19/2019, 2/15/2019, 3/16/2019, & 4/20/2019. At Murrysville Alliance Church in Room 114 (Lower level – handicap accessible). Park in the lower parking lot. Includes a Bible lesson, music, activity, craft and snack. PRE-REGISTRATION is required. Register by scrolling down and clicking below or by calling 724-327-7206. Registration forms can be turned in to the church office. 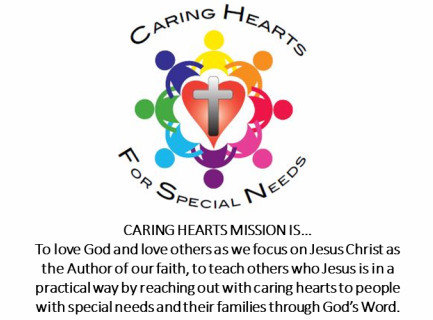 CLICK HERE to download the Caring Hearts Ministry brochure for more information. ***All Caring Heart Ministry adult volunteers have background checks and have completed our Safe Place Training.